(TibetanReview.net, Apr10, 2018) – The main reason why so few Tibetans have been able to make it out of their occupied homeland in recent years has been because China had greatly strengthened border security system both on the Tibetan side and in arrangements with Nepal. China’s People’s Liberation Army (PLA), reported the official globaltimes.cn Apr 8, had strengthened its power and management in border defence by developing new types of equipment that could be used in all environments, including in extreme temperatures and otherwise inaccessible topography. Besides, a satellite early-warning monitoring system is planned in some border areas that are in dispute or are difficult to enter and to patrol, the report cited the Beijing Evening News as saying Apr 8. This refers mainly to the border dispute with India, a development resulting from China’s occupation of Tibet. The report said a surveillance camera network had also been built in border zones, with the density of coverage being set to increase to cover blind spots. 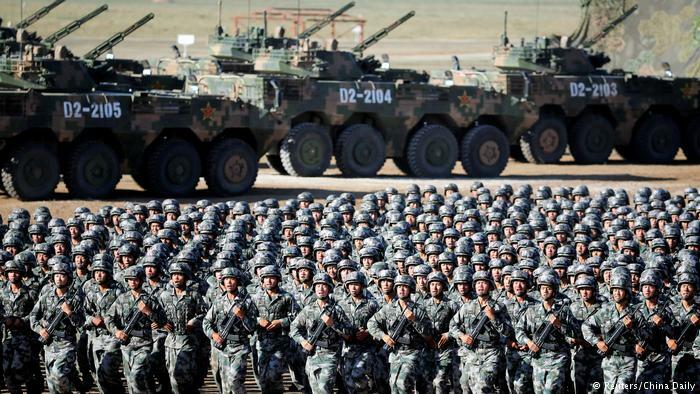 The report cited Song Zhongping, a military expert and TV commentator, as saying the informatization and mechanization of equipment, vehicles and monitoring methods of PLA border defence will give an early-warning of any risks to security as well as overcoming previous blind spots. Song has said the PLA had to increase the level of automation of its equipment, including with the use of drones and tracking vehicles, to conduct patrols and setting up unmanned monitoring systems, which meant that border regions will come under continuous monitoring and control. Song has said that to cater to various geographic environments along the country’s long borders, the PLA had developed equipment that could be used in water, in the air or on land. The report implied that in the jungles of Yunnan, the sparsely populated deserts of Xinjiang and the high plateaus in Tibet, PLA troops had begun using drones to patrol more areas than 10 years ago, resulting in a 25-fold increase in efficiency.